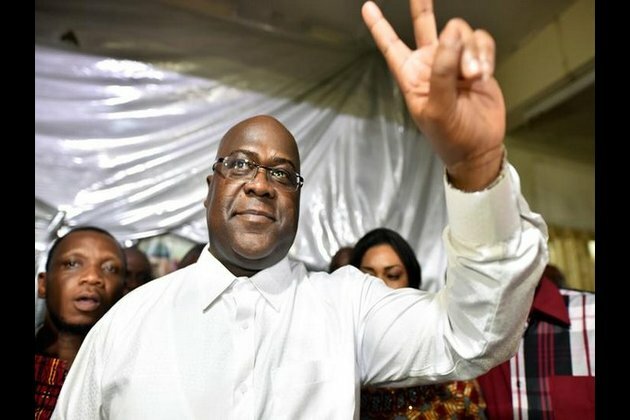 Kinshasa [DR Congo], Jan 20 (ANI): A Constitutional Court here on Sunday declared Felix Tshisekedi, leader of the main opposition party, as the newly elected President of the country, rejecting claims of rigging and fraud by runner-up candidate Martin Fayulu, who declared himself to be the country's "only legitimate president." Al Jazeera quoted that Fayulu's party workers as saying that outgoing President Joseph Kabila had made backroom deals to announce the election results in favour of the opposition. Meanwhile, Fayulu has urged his supporters to demonstrate a peaceful protest on the streets of the Congolese capital, stating that the Constitutional Court has announced false elections results. "It is no secret ... that you have elected me president," Fayulu was quoted as saying. "I consider myself the only legitimate president of the Democratic Republic of Congo. I call on the Congolese people not to recognise someone who would take on that role illegitimately, nor to obey the orders coming from him," he added. However, after the Court announced its decision on Sunday, Tshisekedi claimed that the poll results secure victory for the nation. "It is Congo that won," said Tshisekedi, while addressing the media after the poll results were announced. "It is not the victory of one camp against another. I am engaged in a campaign to reconcile all Congolese. ... The Congo that we are going to form will not be a Congo of division, hatred or tribalism. It will be a reconciled Congo, a strong Congo that will be focused on development, peace, and security," the newly-elected President further added to his statement. Presidential elections in Congo took place on December 30 last year, after a long time span of 17 years. Joseph Kabila who had held the Presidential post for so long was held accountable by the opposition forces who claimed that he delayed the voting in order to extend his term in the office. In earlier circumstances, Presidential polls were postponed twice, especially after the Independent National Election Commission (CENI) of Congo cancelled last year's December 23 vote in three cities, including Beni, Butembo, and Yumbi, after voting machines were burnt in a massive fire in one of the main warehouses in Kinshasa.